Urban color palettes and rustic designs play off of each other so well. This dining table is a perfect example of that pairing. 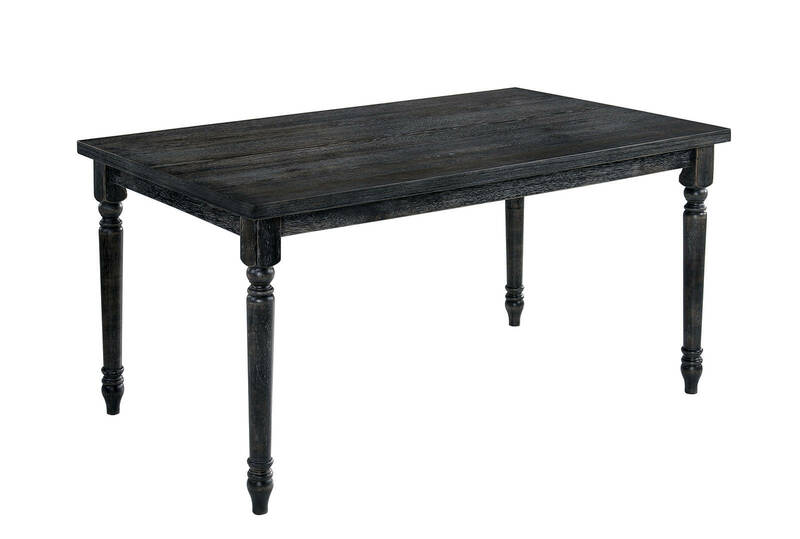 A weathered gray finish gives that modern hue but with a touch of age to blend perfectly with country styled turned legs.